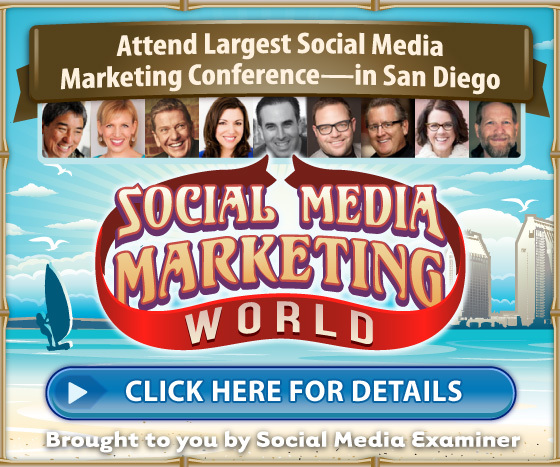 Are you using Twitter ads? Do you want a better return on your investment? Twitter uses its ads quality score to determine how your ads are displayed, and how much you pay if people engage with them. In this article I’ll share how to create Twitter content that raises your Twitter ads quality to maximize the ROI on your Twitter ads. 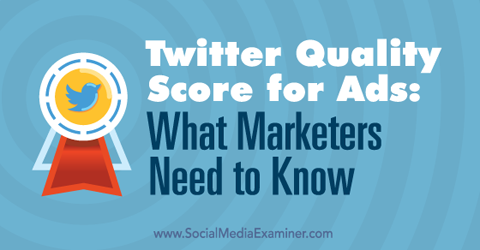 Discover what marketers need to know about Twitter Quality Score for ads. The Google AdWords’ quality score rewards advertisers who create engaging ads with much lower cost per click and more prominent ad placement. This year, Facebook introduced a quality score of its own, called relevance score, which determines your ad cost and placement on that social network. Twitter recently confirmed release of its own version of quality score. You can read about it in Twitter Ads Help. Image: Placeit. So what does Twitter ads quality score actually do and how do you find out if your quality scores are any good? For starters, you can’t actually see your quality adjusted bid in your Twitter Ads Manager. It remains a hidden internal metric for now. Regardless, Twitter’s quality adjusted bids algorithm isn’t some arbitrary metric you can ignore. As with Google AdWords, increasing the quality score on your Twitter ads actually earns you a huge click discount. In fact, on average, when you gain one point in the engagement rates on your ads, you see a 5% decrease in cost per engagement. 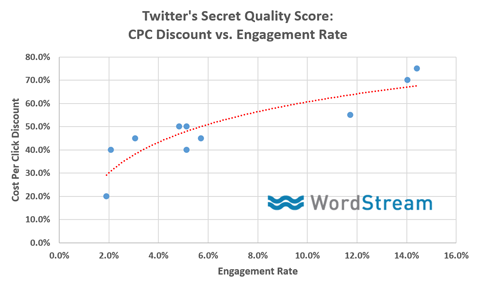 Twitter rewards advertisers with a high quality score by giving them a huge discount. Therefore, regarding Twitter ads campaigns, if you can get engagement rates up to 60% or so, the cost per engagement becomes one cent. If you can get it to 36%, it’s two cents. The higher the engagement rate, the lower your cost per click. On the other hand, if your engagement rate (and therefore your quality score) falls to 7%, the cost per click will go up to about eight cents per click. That’s an 800% increase. Plus, really low engagement gets even worse (meaning more costly). If your engagement is something like 0.14%, you will end up paying a whopping $2.50 per engagement. That’s more than 250 times more expensive than promoting a high-engagement ad. While high engagement is rewarded, low engagement is punished with a corresponding high cost per click. It’s unnecessary to overpay for your ads like that when you can just as easily boost your Twitter quality scores and get substantially better rates. Here’s how to master the Twitter ads quality score algorithm to get better engagement and rates on your Twitter ad campaigns. Twitter wants to show users the freshest content, so tweet new material regularly. No matter how good the ad, the number of impressions per day declines over time. And, as time goes on, Twitter is less likely to show older tweets. The number of impressions your ads receive declines over time, so it’s essential to keep tweeting new material. The solution is to create different variations of each ad. It will be much more effective, and have much higher visibility and engagement, than running the same ads for lengthy periods of time. Rather than paying more than $2 per click to promote low-engagement (and poor) content, promote tweets that are already doing well. For example, the tweet below got 1,500 retweets. Plus, that piece of content received 100,000 visits referred from Twitter. And all for $250. Promote tweets that are already doing well to build on established engagement. When you pay to promote high-engagement tweets, it will often give your organic performance a boost. People will want to share popular tweets they see on their own networks. Besides, you don’t pay for those additional retweets and engagement. Remember, though, if you promote content no one wants to engage with or share, you pay more for each click. Furthermore, you will see little (if any) free organic engagement. My strategy is not to promote every tweet. 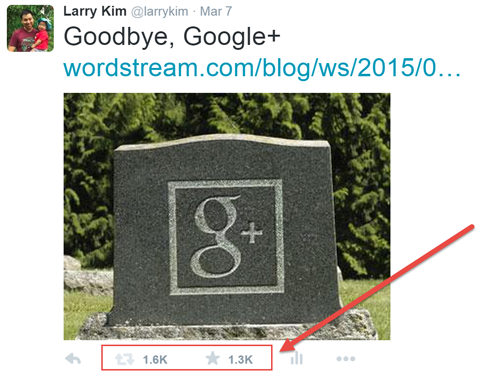 I only promote the top 1% to 3% of status updates with 15% or greater engagement rates. When I do, it typically results in a cost per engagement of one cent. Remember, relevance is key to engagement. The best way to kill your engagement and quality score is to blast out tweets to a very wide audience. Instead, go after micro-audiences of 100,000 or even 10,000 people. Use Twitter’s powerful ad targeting options to zero in on the best fit for your ads. For example, I leveraged geo-targeting for a local event. The ad was narrowed to target people who live in South Florida. It increased tweet engagement by a factor of more than 3.5 times. Narrow ad targeting and you will be rewarded with increased engagement. In addition to Twitter’s variety of demographics targeting options, there are many other Twitter ad targeting strategies to try. This includes keyword targeting, Twitter remarketing, device targeting and partner and lookalike audiences. The more relevant your ad is to your audience, the greater the chance it will increase your engagement and quality score in the process. There’s no doubt about it: Twitter campaigns are effective. When you pay attention to the way Twitter ranks and prices your ads, and do things to work within the algorithm, you improve your engagement, rank and costs. It’s a win all around. What do you think? Have you tried to improve your Twitter quality score? What tactics have worked best for you? Please share your thoughts and experience in the comments section below. ← What is Retargeting and Why Should You Use It?